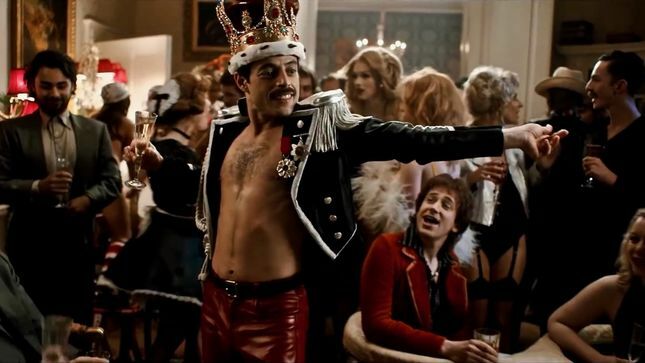 We are joined by iCritic.net film critic and YouTube star, Kevin T. Rodriguez, to discuss this long in development Queen biopic. Kevin is the mastermind behind two separte YouTube channels - The Apptrepreneur and his self titled channel. Click here to check out his books as well. Some films can split audiences right in half. Whether you’re talking about the latest DC films - Man of Steel and Batman v Superman: Dawn of Justice - or even classics like They Live. You have fans that will appreciate it for what it is at face value and other viewers that hate the final result for what it could have been. Bohemian Rhapsody will definitely go down as one of those films. A common compliant of those who envisioned something different is that it made the story of Queen sanitized. It’s no surprise that Queen front man, Freddie Mercury, was bisexual. To be honest, he dated both men and women in his lifestyle. On the other hand, Mercury was an incredibly private person in real life. Rhapsody explores his arc for his search of sexual identity. Queen is arguably one of the greatest rock bands in existence. They have unique sound that helps them to stand out strongly. With pop culture hits like “Bohemian Rhapsody”, “We Will Rock You”, “Under Pressure” and more - make the band stand out. With this film being incredibly split between audiences - does this film danish the legacy of the great Brits? Make sure you guys let us know in the comments what you thought of Bohemian Rhapsody and further more, what you are thankful for this year. And more importantly, if you or someone you know is struggling with suicide, addiction, self-harm or depression - please free feel to reach out. Use any our resources, call the suicide lifeline (1-800-273-8255) or text 741-741. Music by Logan McElroy and Shawn Davis. The X-Files are property of Fox. We do not own nor claim any rights. The Flash & Man of Steel are property of Warner Brothers & DC Comics. We do not own nor claim any rights. Networked by That's Entertainment! Bohemian Rhapsody is property of Fox. We do not own nor claim any rights.